I just joined this VTC a couple of weeks ago as a Developer/Driver and I must say it is one of the most chill and relaxing VTCs I have been to. The owner and the staff are very welcoming and friendly. Not sure why this topic is still here. It's their own page, they can even post about carrots or spiders if they want to. 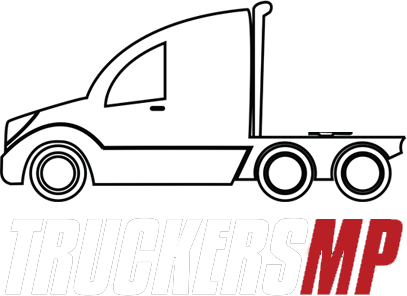 Regardless of that, what has this topic got to do with TruckersMP ? And they have not just posted about VIVA, they have posted about one other VTC as well in the past, not gonna name it here, since that's not important. What Features would you like to see added in MP, or even current features that could be tuned. Glad they limited the van to staff only, already there's so much chaos with those scout cars... They are increasing their post count to apply as game moderator LOL. Why are there not many Truckers in Italy and Baltic? It's actually good that these areas are not as populated as the base map. Means there are no trolls and you can actually enjoy the driving instead of worrying about getting rammed. In Documents > Euro Truck Simulator 2, check the file game.log.txt. It will tell you why the game is crashing/not starting. Apart from the CD road (EU2), 90% of the drivers in other areas will be obeying traffic rules, driving sensibly and using common sense. I always stay out of the CD road and I don't think I have ever been rammed/trolled by anyone. Am sure the team is working on it and they might be as keen as the players to release it for the trucking experience. But all this involves work and time, and a lot of testing. I would rather wait to get a stable version than to rush and release an unstable version after which everyone will be complaining "my game is crashing". The DLC is good, however it's disappointing that they didn't give additional accessories like beacons and the coffee mug that they gave with the ETS2 version. Future DLCs, what would you like to see?